Infinidat » Amazon Snowmobile: Why? A week or so ago Amazon had a blog post talking about their new storage offering called “Snowmobile,” a follow on to their Snowball solution announced just a year ago. 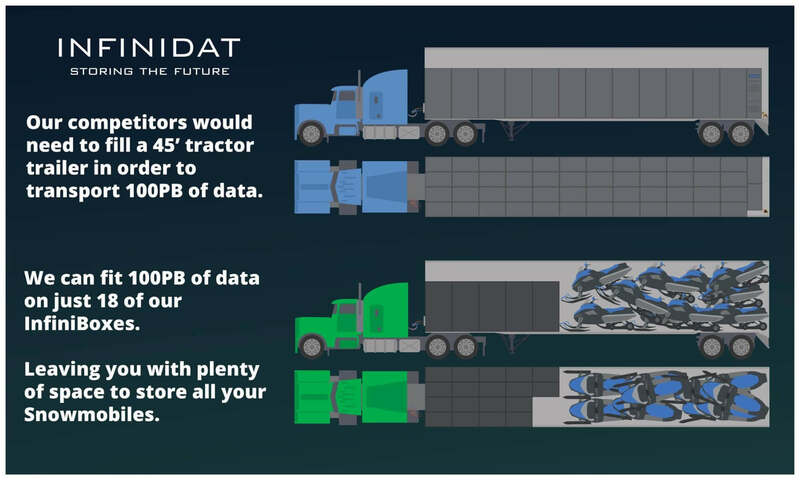 The solution is a tractor trailer truck designed to haul 100PB of data. The solution is aimed at solving a real problem – how to get many terabytes and petabytes (in this case 100PB) from point A to point B in a reasonable amount of time. If you tried to do this at line speed (fast line speed, 1 gigabit / sec), it would take 28 years. Who has that kind of time? Amazon’s Snowmobile has a 1 Tb/sec link (assuming you can push data that fast, which may be the tricky part). It takes about ten days to fill the truck and then you have to drive it to its destination. If it’s across country, let’s call it seven days on the road, followed by another ten days (this is my guess) to get the data into Amazon’s cloud. Adding it all up, that means that in approximately one month, you could move 100PB worth of data. Here is a question, though…why? What would you do with it once it is there? I mean Amazon must have a market for this, or why else would they do it? They did call out a customer in their blog, but they didn’t talk about how they would actually “use” the data once it is there. More importantly, how much would it cost? It is interesting, the post had no comment on pricing, but in doing some more reading and seeing one of their customers mention in the article that the data was put into Glacier, one can assume the costs for 100PB there is roughly $2.7M per month. So if you amortize that out over three years, the typical costs for enterprise storage, you get $97.2M. Oh, and the cost to store data in Glacier isn’t the biggest cost, it’s moving it in and out of the cloud that costs a lot. So back to my original question, why? If you are going to use the data and be pulling it in and out of the cloud, this is going to get very expensive very fast. So I decided to have some fun with this. If INFINIDAT wanted to move 100PB of data via trailer truck, given that the line speeds are the same for all of us, what would that look like? 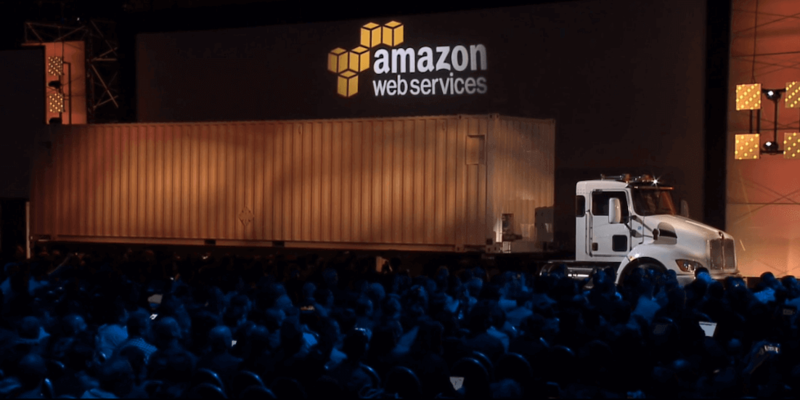 Now, I don’t know what is inside Amazon’s trailer truck hauling data in the Snowmobile example, but if you were to use INFINIDAT’s InfiniBox storage array, based on its efficiency and a conservative estimate of 5.5PB (2.75PB * 1:2 compression rate) of data in a single system, it would take 18 InfiniBoxes to store 100PB of data. The efficiency of InfiniBox is due in large part to InfiniRAID™, a distributed, double parity RAID schema that is 72% efficient (with no hot spare drives) versus the typical 50% or less efficient RAID schemas available. So in a 45 x 8 x 9.6 foot truck there would be approximately 27 x 8 x 9.6 feet of space left. What else could you put in that space? I first googled 27 feet and it brought up a picture of a killer whale. That’s pretty impressive. 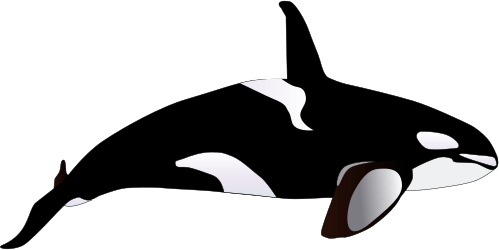 To transport 100PB with the highly capacity efficient InfiniBox, you’d have plenty of space left over to fit a killer whale in your trailer as illustrated below. I know what you’re thinking, why on earth would you want to use that space to transport a killer whale? Perhaps a more obvious choice would be snowmobiles. In this scenario, you’d have enough leftover space to haul about 18 snowmobiles, in addition to your InfiniBoxes full of data. The other thing to think about too, is why stop at 100PB? If you filled a trailer truck with 54 InfiniBoxes, you could put 300PB of data in the truck. In this case it would take about two months to migrate 300PB of data into the cloud. Still better than 28 years. The other thing I thought about this was insurance. How much would it cost to insure the transport of that amount of data? There are ways to figure out what the insurance would be on something like this, and I was surprised that there are actually a lot of articles on this. Turns out it has a bit more to do with the revenue of your company, than it does the capacity you are insuring. In this article, “How Much Does Cyber/Data Breach Insurance Cost?”, they actually look at company revenue and insurance limits to provide a monthly cost. Companies with revenues between $1M per year and $1B per year, are subject to rates of between $1 and $5 million dollars per year. So the question is, how does it work for Snowball? Let’s say the the truck is now full of your precious data and headed over Wolf Creek Pass in Colorado when it slides off the mountain into the ravine. What then? Who pays for that? Is that a part of Amazon’s offering? Seems to me there are more and more reasons to keep data on premises. Given the right storage architecture you could remove a lot of risk and sleep better at night.